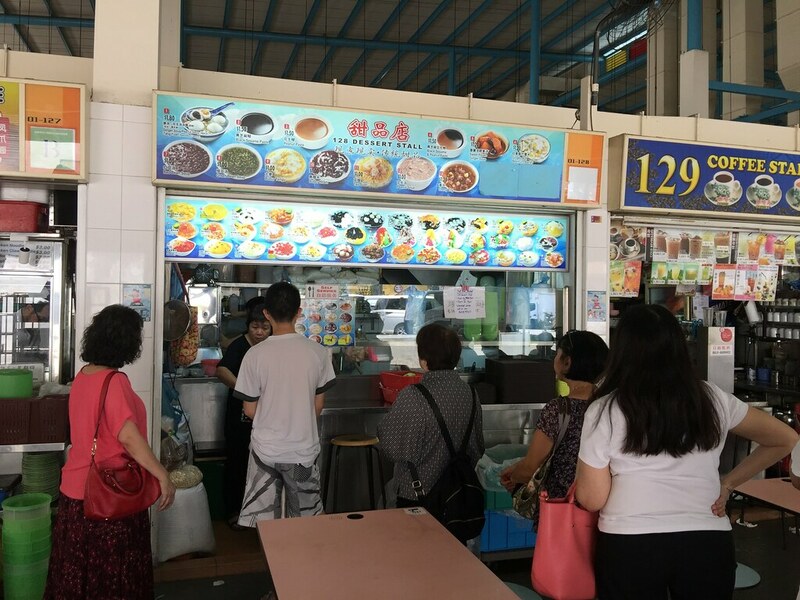 During my recent visit to ABC Hawker Ah Hua Fish Ball Noodle at Telok Blangah Crescent Food Centre, I also took the opportunity to check out 128 Dessert Stall which is just a few stalls away. The stall interests me because it sells a variety of desserts starting from a dollar which is almost impossible to find nowadays. We had the Tau Suan ($1) which comes with you tiao. For the price point, the stall did not stingy with the portion. The mung beans dessert was neither too sweet nor gooey. It was cooked to an enjoyable bite complemented by the crispy you tiao. The other dessert we tried is the Bubur Terigu ($1). This is also know as the white wheat dessert. Using white wheat and cooked with gula melaka. Coconut milk is drizzled over the dessert before serving. Another delightful dessert which was well balanced. Once again not overly sweet or gooey. I like the addition of coconut milk, providing an addition lift in flavour. Besides the affordable pricing of a dollar for desserts here, the portion was generous and most important it tasted good! No wonder there was a constant queue at the stall.